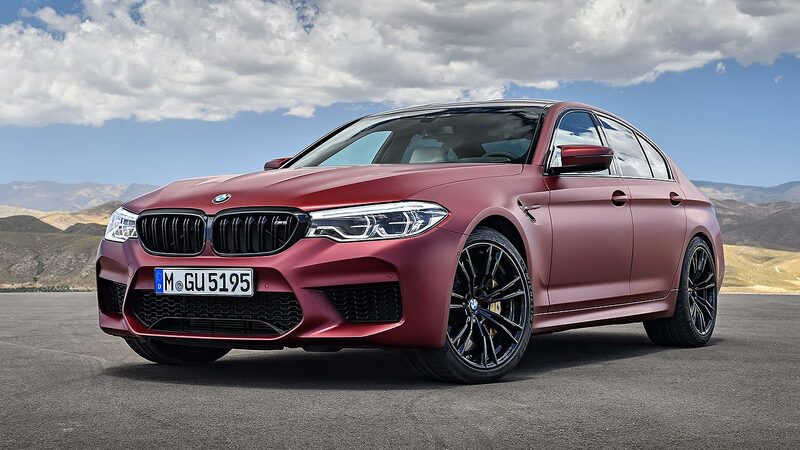 The new BMW M5 will go on sale in February 2018, priced from £89,640 and equipped with four-wheel drive for the first time in its six-generation history. It’s thus half a second faster from 0-62mph than the final incarnation of its predecessor, despite having no more power. 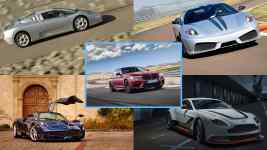 It will, boasts BMW, “surpass all previous incarnations”. Derived from the acclaimed G30 5 Series, BMW has retained the 4.4-litre biturbo V8 engine from the old model, albeit much revised with upgrades such as higher fuel injection pressures, improved oil and cooling systems, and more efficient exhaust manifolds. The gearbox is all-new, though: an eight-speed automatic called M Steptronic with Drivelogic, replacing the old M DCT dual-clutch seven-speeder. BMW Concept Z4 revealed: meet the new 2018 Z4? 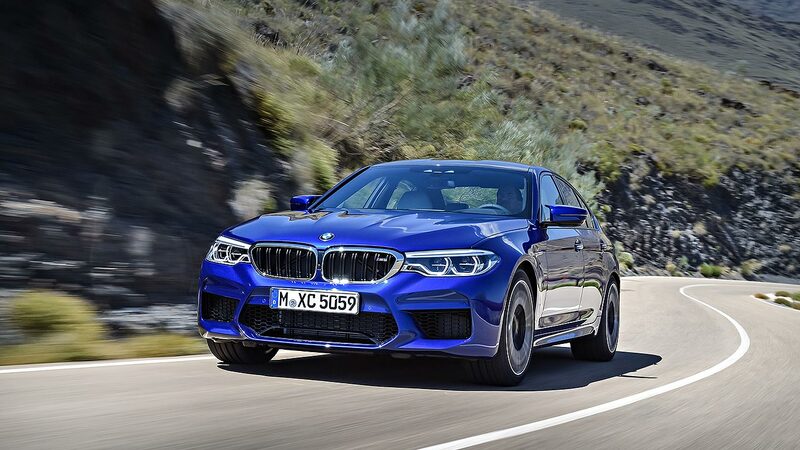 All-wheel drive is the big switch, although even here, BMW says the M xDrive system retains a pure rear-wheel-drive setup until traction from the rear tyres is exhausted – then the front wheels come into play. In regular guise, it’s safe and surefooted: a Dynamic mode biases more drive to the rear, for “controlled drifts and playful handling”. 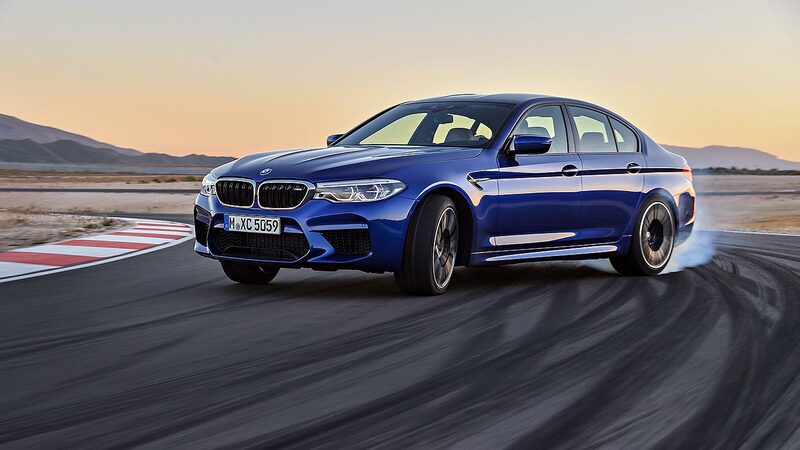 Like arch-rival Mercedes-AMG’s new E63, the latest M5 also allows drivers to disengage the all-wheel drive system entirely. BMW’s keen to underline this is only for track use, but it will allow tyre-smoking fun all day long, or at least as long as there’s rubber on the back wheels. That’s for showboating though: for maximum speed, keep everything engaged, and you can enjoy 0-62mph in 3.4 seconds (the old M5 did it in 3.9 seconds), and 0-124mph in 11.1 seconds. For comparison, the Porsche 911 GT3 with PDK can only match the new M5’s 0-62mph time: choose the manual GT3 instead, and it trails it by half a second… 26.9mpg combined and 241g/km CO2 are a little better than the Porsche, too. Visually, the new M5 packs purposeful but understated clout. 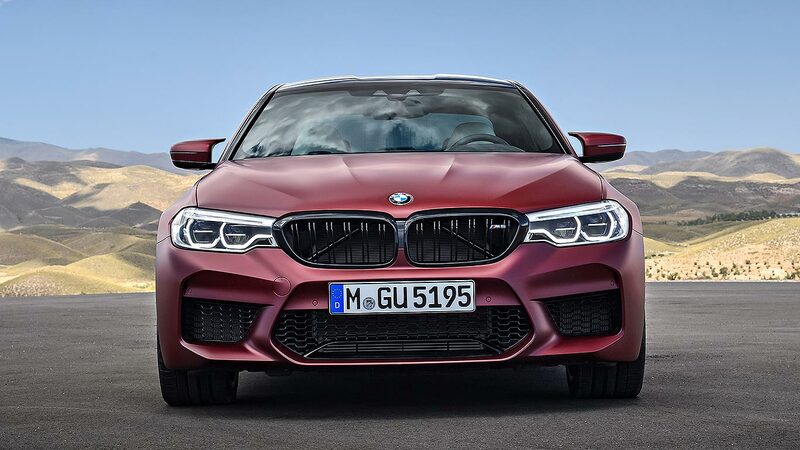 There’s a new aluminium bonnet, more muscular aluminium front wings and, for the first time on an M5, a carbon fibre reinforced plastic (CFRP) roof. The front bumper is all-new, dramatically carved out to feed plentiful air towards the engine and brakes. The oil cooler is built into its lower central section, making it look even more purposeful. A chunky rear diffuser and boot lip spoiler help perfectly set off the trademark BMW M quad exhaust tail pipes, which feature flap-controlled noise control within: they can be silenced by pressing the M Sound Control button. Inside, BMW fits Cup-style M multifunctional seats clad in soft fine grain Merino leather, and both the starter button and ‘M’ buttons on the steering wheel are now lacquered in bright red. It is a four-seater though, rather than a five-seater: the rear chairs have a similarly occupant-hugging profile. 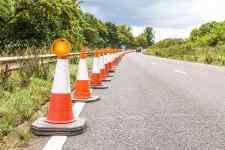 A configurable M instrument display features shift-up lights: if you wish, they and more essential info can be replicated in the head-up display. 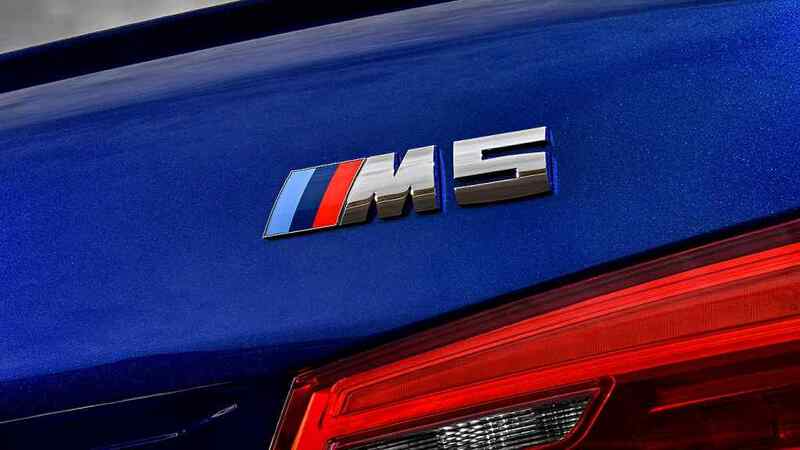 See the new 2018 BMW M5 in public for the first time at the 2017 Frankfurt Motor Show next month. If you want one of the first in the UK when sales start in February 2018, best get onto your dealer right now.